PASH SJOKOLADE har produsert eksklusive håndlagde sjokoladeplater av høy kvalitet siden 2014. Frysetørking fjerner alt fritt vann fra bærene og vekten reduseres til ca. 10% av opprinnelig vekt. Under denne prosessen bevares opp til 90% av næringsstoffene i bærene, bl.a. naturlig forekommende kostfibre, kalium, vitamin C og folat. Bær smaken blir mer intens og holdbarheten forlenges.Vi anvender bare de beste råvarene og bruker så mye lokale råvarer som mulig. Vår sjokolade er UTZ og Cocoa Horizons sertifisert, noe som sikrer en bærekraftig produksjon av kakao. Alt er 100% håndlaget i Hemsedal, Norge! PASH Chocolate has produced exclusive handmade chocolate bars of high quality since 2014. We source the highest quality Norwegian berries and fruit, freeze drying them with the state of the art freeze drying technology. We use an inclusion style of chocolate production, ensuring each bar is handmade. Freeze drying removes all free water from the berries and the weight is reduced til approx. 10% of original weight. In this process up to 90% of nutrients are preserved, amongst others natural fibers, potassium vitamin C and folate. The berry flavour is intensified and shelf life is prolonged. We use only the best raw materials and use as much local products as possible. Our chocolate is UTZ and Cocoa Horizons certified which insures sustainable cocoa production. Everything is 100% hand made in Hemsedal, Norway! Our packaging is 100% biodegradable. Boxes and stickers are printed with soy based ink on environmentally friendly paper. Our bags are made from plant proteins. In collaboration with HOLD NORGE RENT we adopted the local river Hemsila. We are working to stop pollution of nature, cleaning the river several times a year. 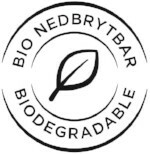 We support Hold Norge Rent’s work to better our environment securing a better future for our planet, with every chocolate bar.